JPHS and outstanding results are synonymous to each other. Backing up our own trend this year our students have created history. 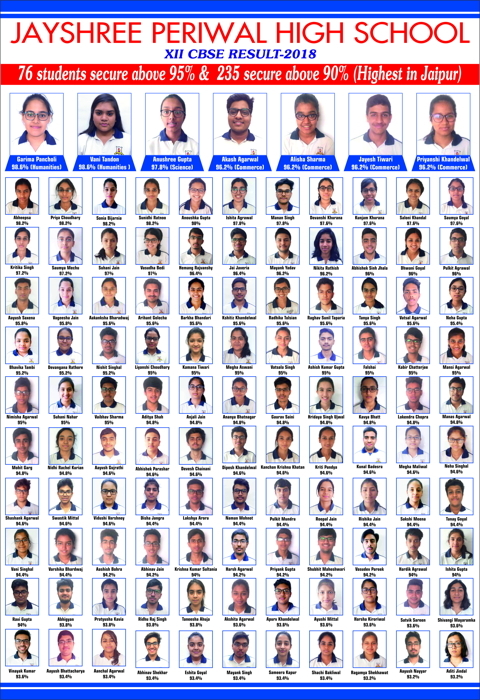 Around 61 students have made it to the prestigious IITs, 5 in AIIMS and many staked a claim to their places in NEET exams. Excellent results not only translate into tangible grades but also empower our students to make high-quality decisions and choices in life. Neha Singhal secured AIR 482 in IIT Advance thus securing No.1 Rank in the city among girls. Vidushi and Sakshi secured AIR 43 and 8(ST) respectively in the prestigious Delhi AIIMS and have also topped the city amongst girls in the same. Over 40 students qualified in NEET Exams under all India admissions. 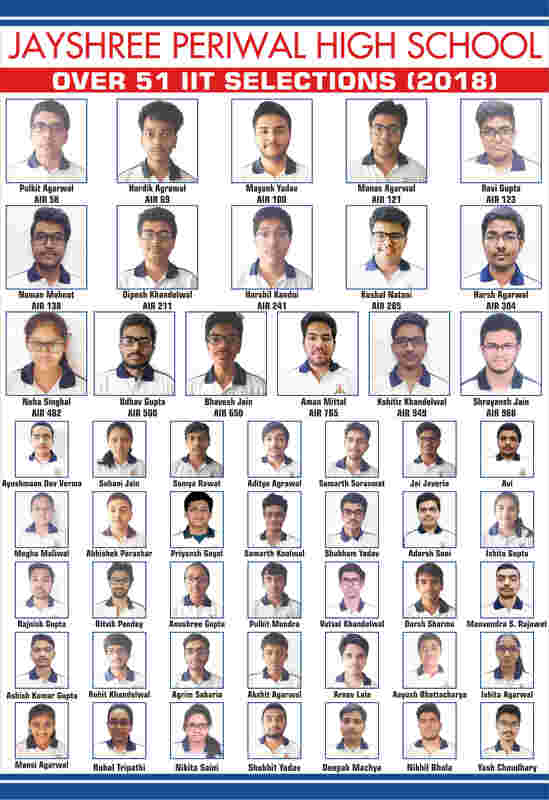 Over 51 Students get selected in IITs. Kunal Badsera secured an AIR 18 in the CLAT Exams. 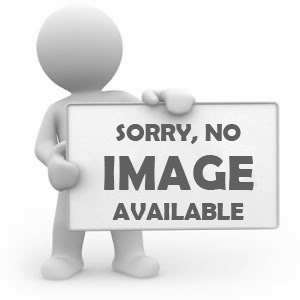 Over 4 students secure AIR in the CLAT exams in the top 150. Yana Gupta Tops the city in Xth CBSE Boards with an outstanding score of 98.8%. Garima Pancholi and Vani Tandon Top the Humanities Stream with a score of 98.8%. Anushree Gupta topped the school in science stream with 97.2 %. 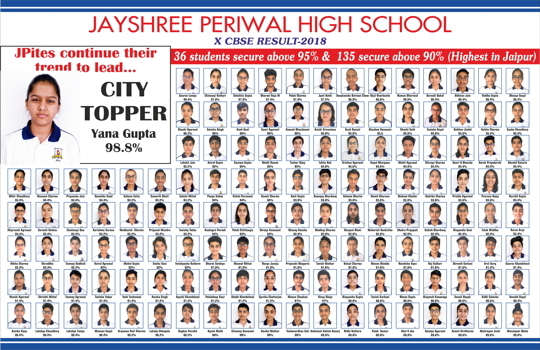 235 students scored above 90% in 12th CBSE. 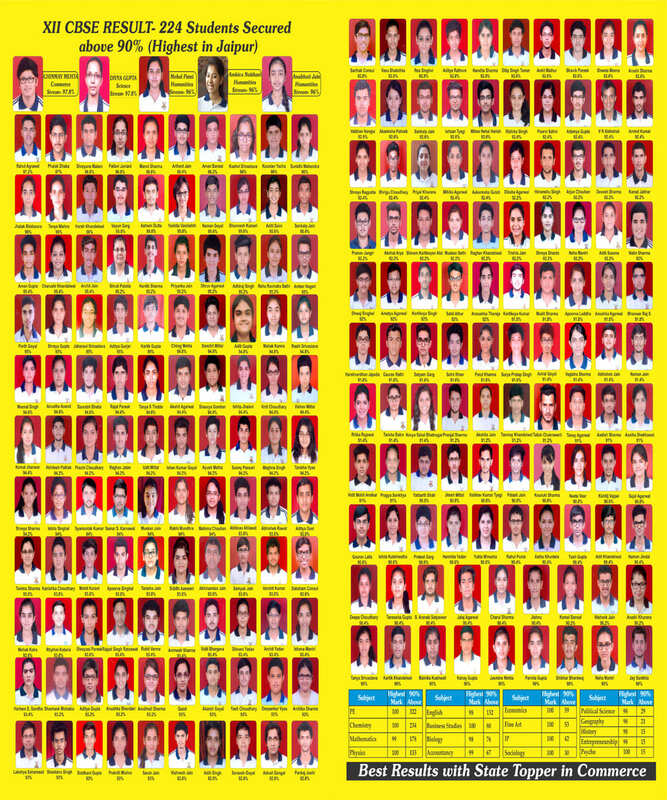 135 students secured above 90% in 10th CBSE. 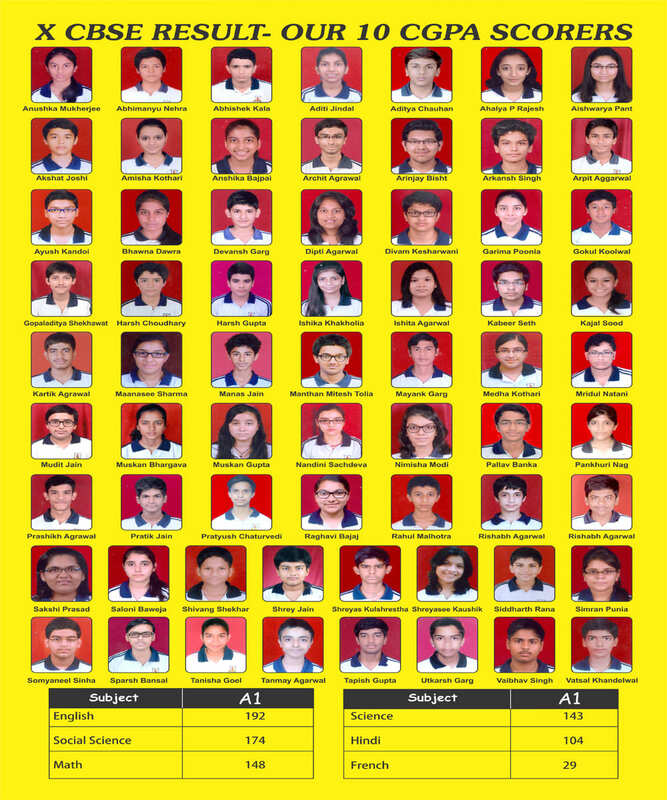 102 perfect scores in various subjects – Maths, Chemistry, Physics, Business Studies, Economics, Fine Arts, Sociology, Psychology, PE & IP.